Google is slowly, but steadily, making a comeback in the Chinese market, after a majority of its services were banned by the country’s strict censor laws. Just a couple of days ago, the company introduced its ARCore technology in the country in partnership with popular smartphone manufacturer Xiaomi. And now, according to a recent report from 9to5Google, the company has launched its Files Go app in China. 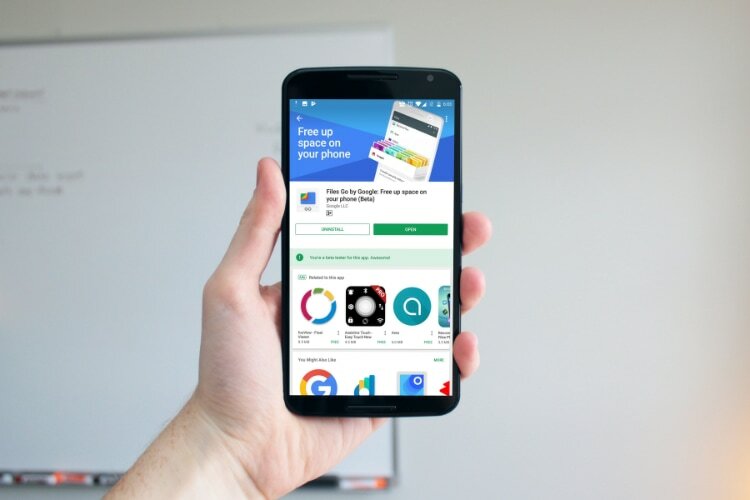 Google’s Files Go is a smart Android storage manager which was originally designed for the Indian market, but was subsequently launched in other parts of the world due to growing interest. The app features a host of capabilities, including P2P file transfers, search, and Google Photos integration, along with its ability to recommend files users can delete to save up some space. Since Google’s Play Store remains blocked in China, the company has partnered with local app stores hosted by Xiaomi, Huawei, Baidu, and Tencent, to distribute the Files Go app in the country. Even though Files Go may not be one of the more significant apps in Google’s arsenal, it’s launch is a small step towards Google’s growing reach in the country. Other than launching a few of its apps in the country, Google is also strategically investing in a number of Chinese startups to increase its hold in the market. Earlier this year, Google invested $120 million in a Chinese startup called Chushou – an online eSports platform which allows users to broadcast their mobile gameplay live for others to watch. As of now it’s not clear if the Files Go app launched in China will be any different from its usual variant, however, considering the fact that Files Go comes with Google Photos integration, which is a cloud-based platform, there’s a high possibility that Google might have made some changes to the app before releasing it in the country.